Doulas Lower Cesareans By 60-80%! Exciting new research has come out about the amazing benefits of having a doula. We have long known that having a trained doula present at birth leads to many beneficial outcomes, such as less use of pain medication, less use of Pitocin to induce or augment labor, greater number of spontaneous vaginal deliveries and fewer assisted deliveries and cesareans, better success with breastfeeding, and higher satisfaction with the birth experience. Previously, results have shown about a 30% reduction in cesarean rates with a doula present, but the newest research more than doubles these findings. This research is presented in American Journal of Managed Care in August 2014. Their study surveyed over 2400 women who noted whether they had received doula care, wanted doula care but did not receive it, and those who did not have and did not want/didn't know about doulas. 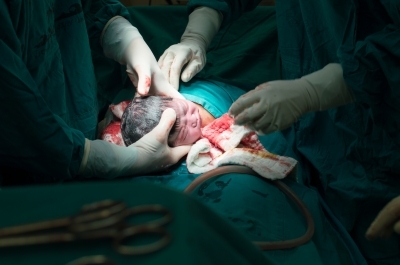 Only 6% used a doula but their outcomes in reducing number of cesareans were substantially higher; in the other groups the rates of cesarean deliveries were consistent with the national average around 30%. They found that women who utilized a trained doula showed a reduction in medically-necessary cesareans by 60% (which includes such things as breech presentation, placenta problems, fetal distress, and maternal health conditions) and as much as 80% in non-medically necessary cesareans (which includes such reasons as a prior cesarean, long labor, being past the due date, provider's fear of a big baby or narrow pelvis, or mother's fear of labor/birth)! In their words, "Doula support was associated with a nearly 60% reduction in odds of cesarean delivery and 80% lower odds of nonindicated cesarean delivery, compared with not having doula support." Based on these findings, the writers acknowledge the great benefit of having a doula present for continuous labor support. Not only does it lead to better outcomes and higher satisfaction, but it is a worthwhile financial benefit. Cesarean births cost on average $10,000 more than vaginal births, so the cost of hiring a doula is well worth the investment. They suggest that insurance companies should recognize the potential cost-savings that is rendered from using a doula and should start covering doula services. See the full article here. How exactly does a doula help lower your risk of needing a cesarean delivery? Stay tuned for Part II. If you are interested in lowering your risk of needing a cesarean, please invest in a qualified doula. Book your consultation with Empowered Birthing today.